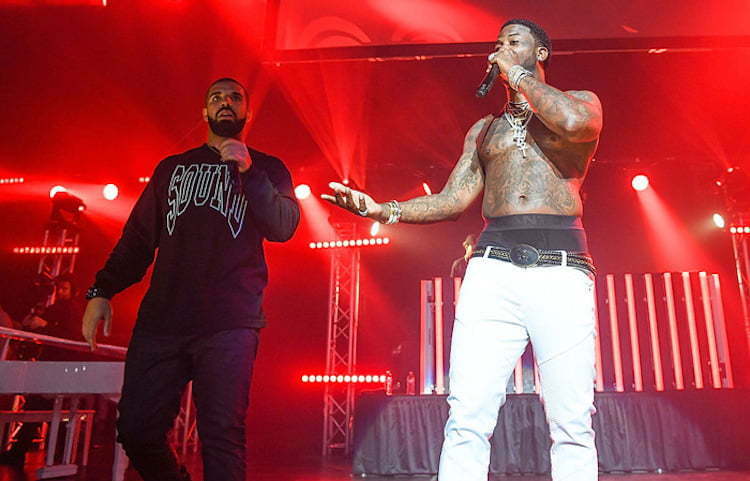 Gucci Mane had the support of some good friends like Drake, Future and Fetty Wap and 2 Chainz for his homecoming concert “Gucci & Friends” in Atlanta on Friday Night. Guwop released his post prison album Everybody Looking on Wednesday and last night show was basically a album release party on a grand scale at Atlanta’s Fox Theatre. The show was streamed live on REVOLT TV. Future also took the stage performing a solo set of“Stick Talk” and “March Madness” before performing “Jumpman” with the 6 God. Gucci Mane posted some highlights from the show on his Twitter timeline. Check them out below. Gucci Mane’s girlfriend Keyshia Ka’oir also joined him on stage as his hype man. Richie Homie Quan and Young Dolph also showed their support. The concert marks the release of Gucci Mane from prison as well as his latest body of work Everybody Looking.